I've created a lot of fun looks since I started doing nail art. These are my top 10 personal favorites. 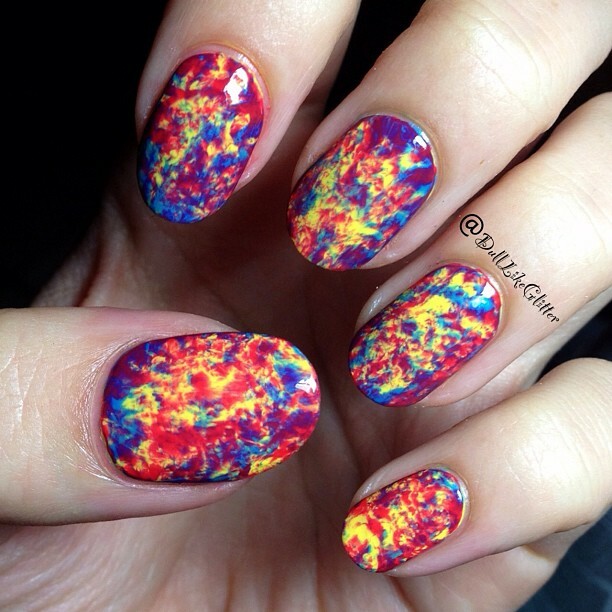 These stereogram looking nails were created purely by accident! I was trying to create a background for a fun design and loved the double saran wrap look so much that I created a tutorial. I never did end up painting a design over them. 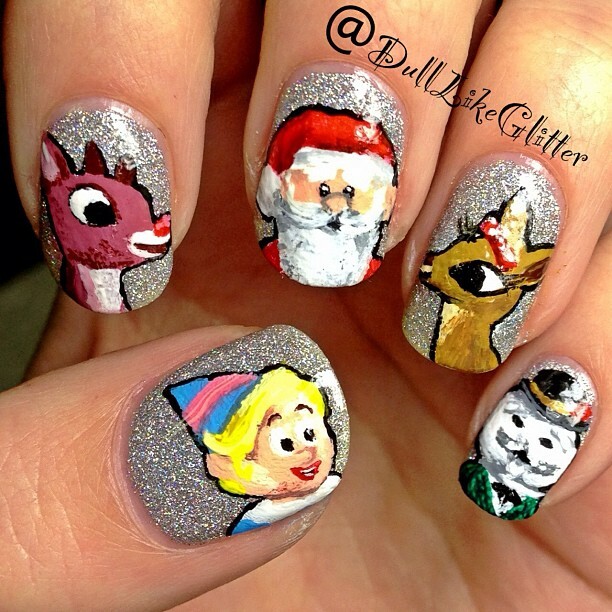 These Rudolph nails were the first time I switched from using nail polish for all my designs to using acrylic paint. It made a huge difference. Who doesn't love staying trendy and seasonal? I used a whole mix of techniques for these nails which is why I think I like them so much. Techniques used: saran wrap, gradient, hand painting, striping tape, hardware and layering. This studded quilted nail design was inspired by a Michael Kors bag I received for Valentines Day. It is one of my most loved and popular nail designs of all time. This skyscape was created for an Instagram contest using hand painting and a blue gradient background. I loved how they came out and they got me first prize. 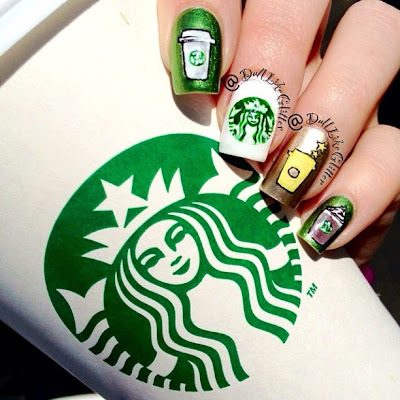 These Starbucks nails were created to celebrate earning my Starbucks gold card. I loved how they came out so much I decided I want to be the Starbucks siren for Halloween....and maybe for the rest of my life. 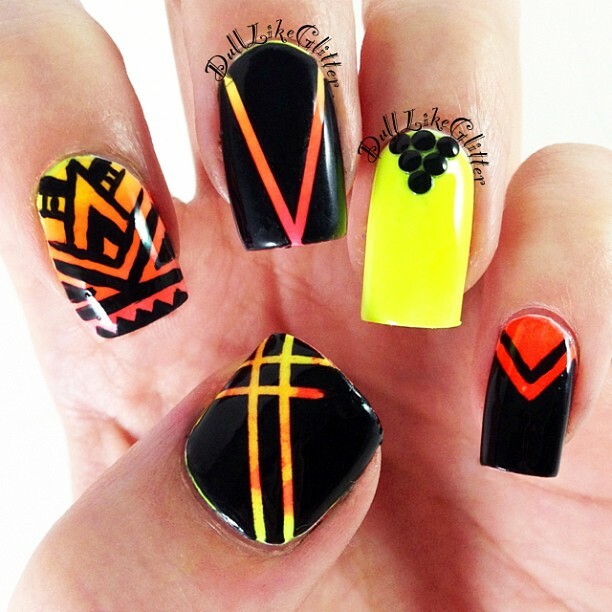 These nails were inspired by pop artists. The pointer finger was a design I came up with myself. The middle finger was modled after comic book pop art. 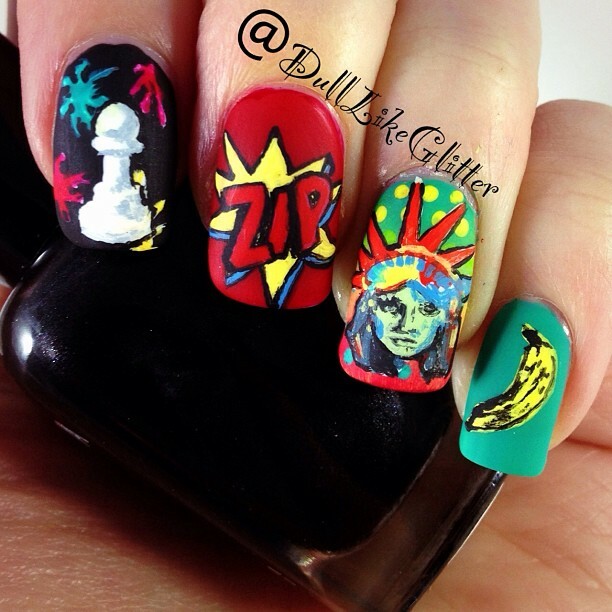 The ring finger was inspired by pop artist Peter Max and the pinky finger was inspired by Warhol. For these nails I hand painted my favorite women of DC Comics. 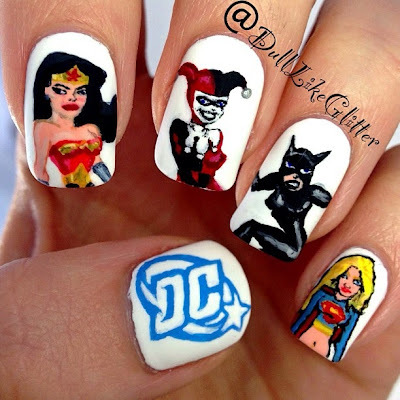 Wonder Woman, Harley Quinn, Catwoman and Super Girl made the cut! My runner up favorite nails go to my Rugrats design. 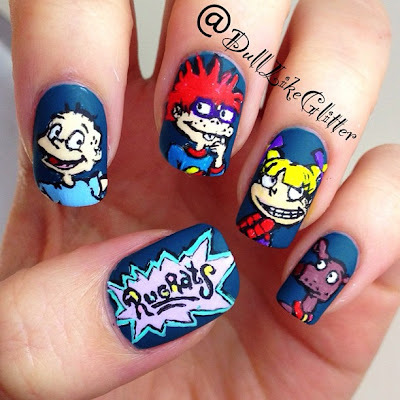 I hand painted Tommy, Chuckie, Angelica and Spike along with the Rugrats logo. My all time favorite nails go to Spongebob! 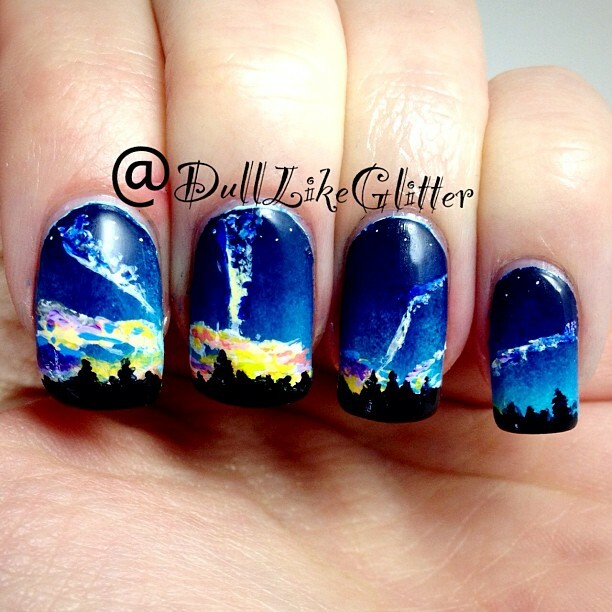 I think they're my favorite because the hand painting was so fun to do and the background also came out very nice. I started with a blue gradient nail, painted flower clouds over them and then painted Gary, Patrick, Spongebob, Squidward and Plankton. It all combined to give these nails an awesome finish. Your voice sounds so cute! I'm in love with your spongebob nails. 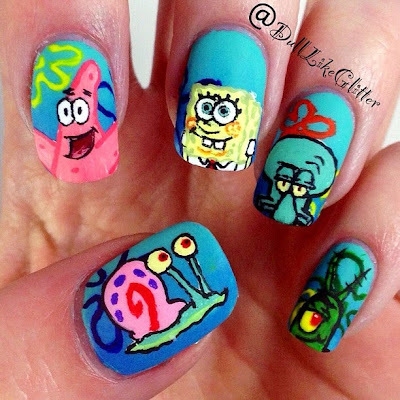 The best spongebob nails I've EVER seen. They're definitely my personal favorite! Thank you <3.